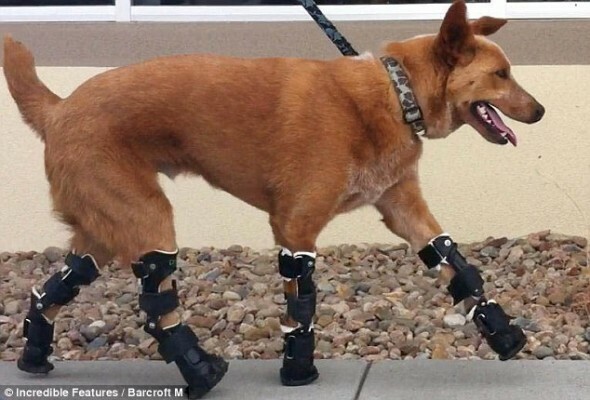 Buddy found this great story about a dog that recently received four prosthetic paws to get him back on his feet again. His owner is proud to report that he walks better than ever and even fetches balls faster than other dogs. This entry was posted on Thursday, June 23rd, 2011 at 9:51 AM. It is filed under Blog. You can follow any responses to this entry through the RSS 2.0 feed.